It was another great year with Walking and Talking. 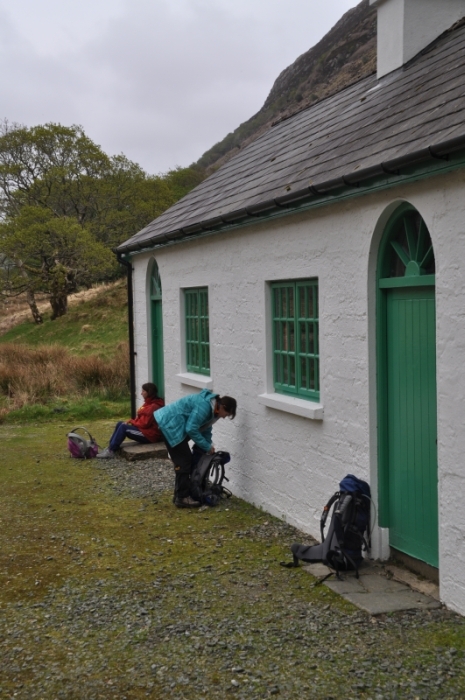 Meeting new people, the return of former walkers and the making of friendships. After a few days confidences are exchanged and bonding takes place – dates are arranged for future meetings – sometimes outside Ireland – London, Paris, Germany, Alsace – just some of the places decided upon by our walkers who also come from many different countries themselves – The Netherlands, France, Germany, Sweden, Denmark, Spain, UK, USA, Canada and of course Ireland. 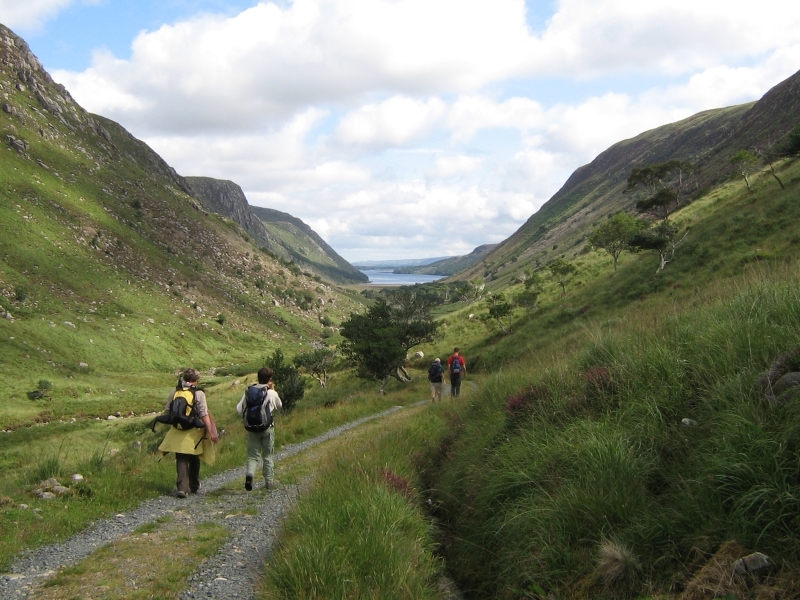 I often wonder how much the beauty of the Donegal landscape influences the good vibrations among the walkers. It constantly changes with the seasons and the weather. Sometimes we may be moving through misty and mystical valleys, at others we may taking off layers of clothing as we walk along a sunny coast. Favourite walks this year? Well Glenveagh National Park was very special. 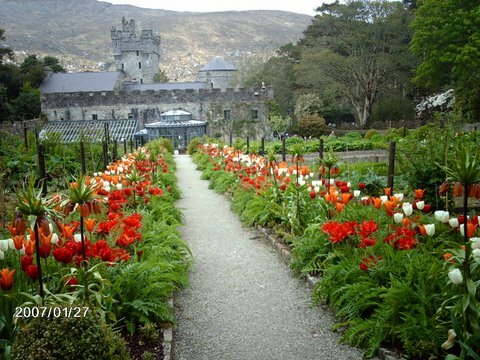 Walking down the valley, along the lough towards the castle and its exotic gardens. Very often we experienced music and dancing at the Castle where they are making great efforts to entertain the public. 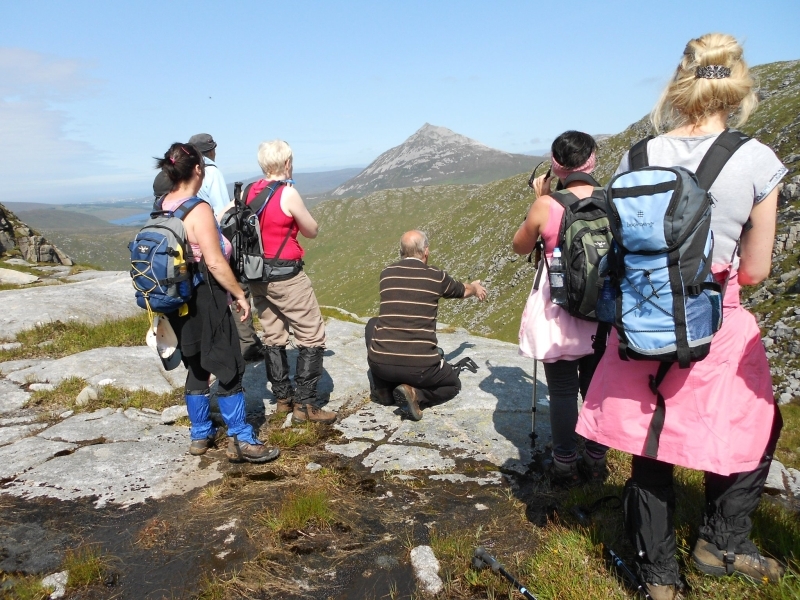 Climbing the hills with the park rangers is a special treat, through bog, heather and rocky summits. Sometimes we come upon a herd of deer who quickly and gracefully disappear over the hill. But maybe next week another walk will have taken my fancy – wait and see! !